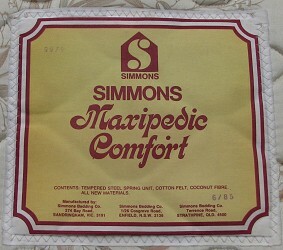 The Master Bedding Makers of America. 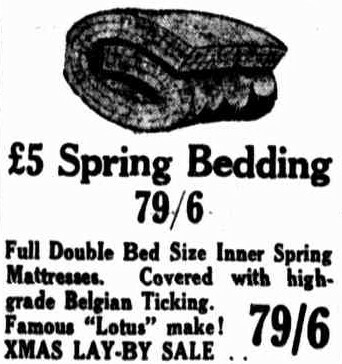 - National Geographic, May 1935.
hand tufted with leather tufts. .
Lotus Inner Spring Mattress in high-grade Belgian ticking, 1940. 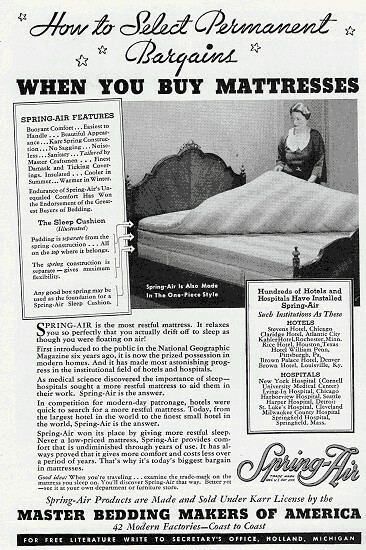 - (Newcastle) Advocate, December 6, 1940, page 31.
early innerspring mattresses could be rolled. 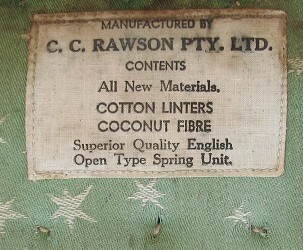 Manufactured by C.C. 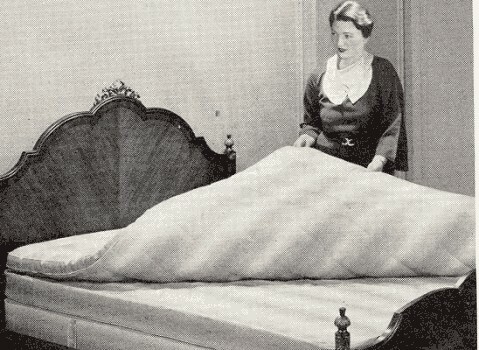 Rawson, 1948. 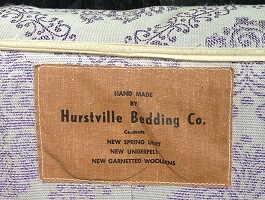 Hordernia Spring Filled Mattress, 1950. 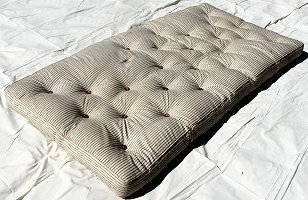 Anthony Hordern and Sons Ltd.
Innerspring mattress in damask fabric, side-stitched border, hand tufted with leather tufts. 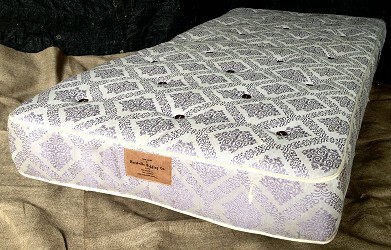 in damask fabric, tape-edged, and hand tufted with leather tufts. 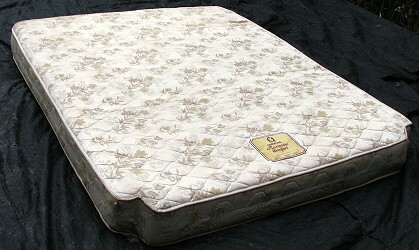 Innerspring, coconut fibre, and cotton felt mattress in foam quilted polyester-cotton (?) 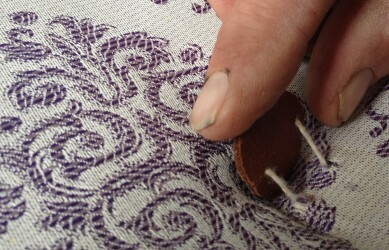 fabric, and tape-edged. 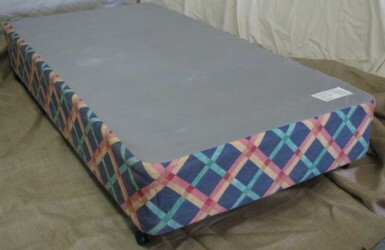 Innerspring, plastic flex-a-lator, under-felt, and cotton linters mattress, in a foam quilted polyester-cotton cover, and tape-edged. 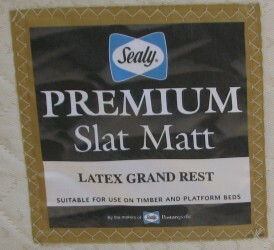 Sealy Slat Matt, Latex Grand Rest, 2005. 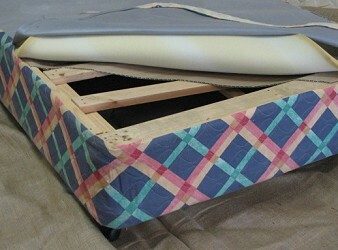 Pine timber frame, cardboard, 9mm foam, cotton fabric border, and melded fabric top, twin-wheel castors. 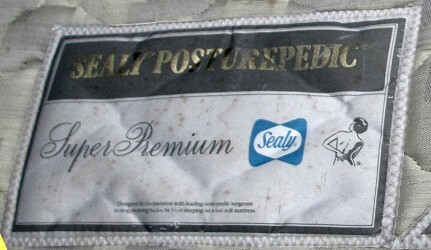 A hand filled and heavily stitched seat insert. 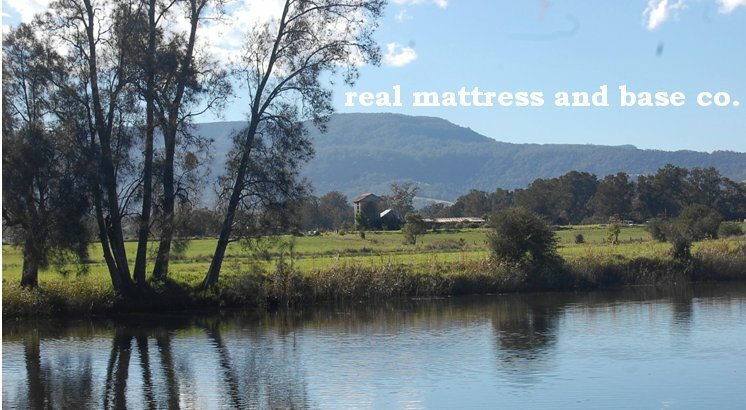 Feather, Horse Hair and Straw Mattresses. 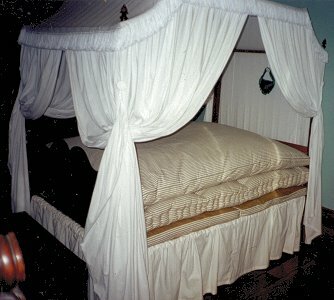 Elizabeth Bay House, Sydney, 1999. 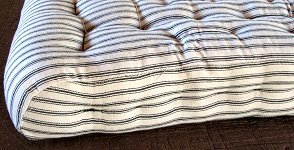 Reproduction small single mattress in strip ticking. 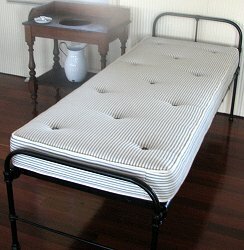 Quarantine Station, North Head, Sydney, 2007. 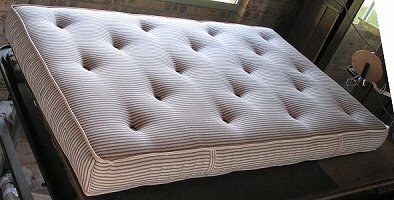 Three pieces in foam, latex, and wool, 1997. 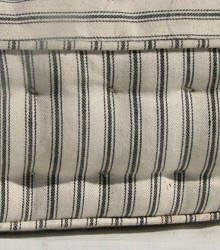 Buttons, Rolled Edge and Cut-out Corners, 2003. 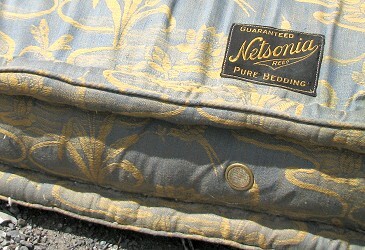 "Natural Fibre" Mattress circa 1940, 2007. 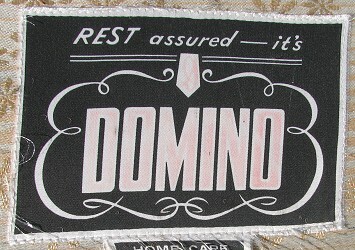 Foam, Latex and Wool with false side-stitched borders, one of three pieces commissioned for cinema film Australia, 2007. 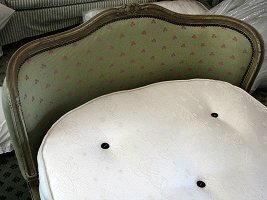 Single French Antique Bed with Rounded Foot, 2005. Inside the museums ... infinity goes on trial.